Ba Mack Farmstay Has Been Looking After Farmstay Guests for 10 Years – Wow, Can you believe it? hasn’t time flown? – it has been great fun. Now, we would like to offer another farm experience, when we are not taking guests in our Cottage or Train Carriage. If you are looking for a mid-week visit to our farm, we would love to give you a special morning or afternoon experience for your family. A “Day Visit” to Ba Mack Farmstay is an exclusive experience for your family. Please do not worry if your children (or even yourself) are nervous around animals. 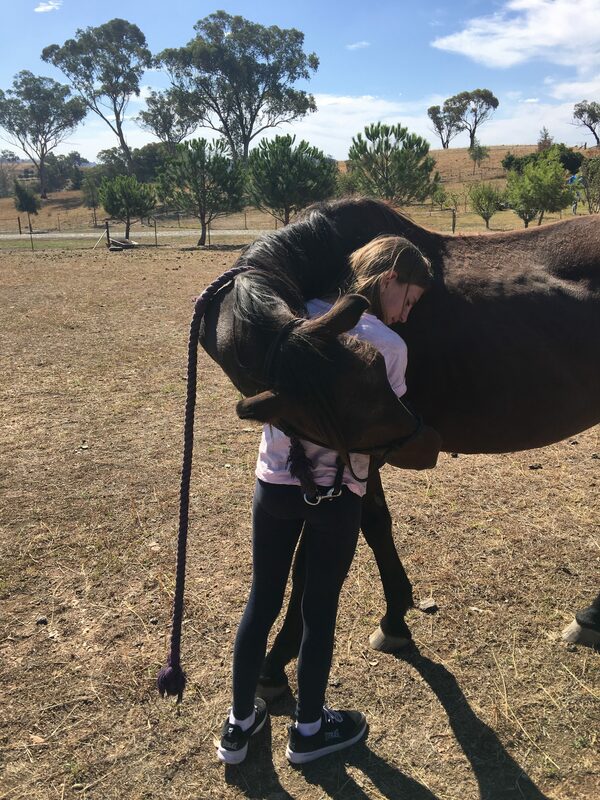 All our farm animals are extremely friendly and personally handpicked so that we can give you a very special experience. Nervous children (and adults) are our speciality. My daughter Kate and I will be here to look after you during your entire visit. 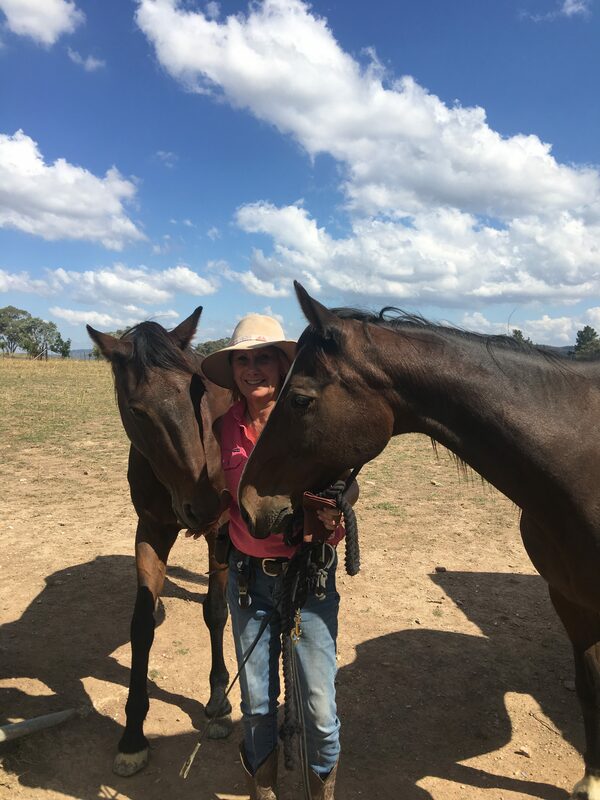 A morning visit to Ba Mack Farmstay is perfect for those who only have a few hours to spare while visiting Mudgee and would like to come and see us mid-week when we do not take farmstay guests. While on our farm, you are welcome to join in to help us feed and play with all our many animals. Your family are also given the opportunity of a short led horse ride on one of our beautiful horses during your visit. If time permits, I am also happy to show you how to make scones and you are welcome to stay and enjoy afterwards with a cup of tea or coffee. A morning visit to our farm runs for 2 hours. The morning activities commence at 9.00am and finish at 11.00am. This will be an exclusive experience for your family. Cost is $50 per person. A Group booking is also welcome. An afternoon visit to our farm is perfect for those who would like a led horse ride only. This is an exclusive experience for your family. An afternoon visit to our farm starts at 12 noon. 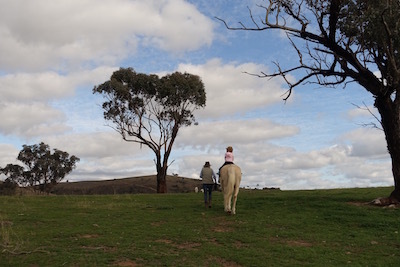 Your family are given the opportunity of a 1/2 hour or a full hour led horse ride around our property. There is no age restriction for our led horse rides – both young and old are very welcome to join in and enjoy. You are going to love it, nervous children (and adults) are our speciality. Longer led horse rides can also be arranged. Cost is $30 per rider per half hour. As you can imagine, bookings are essential and we request confirmation either by phone or email. Payment is required on arrival by cash or card. Please phone or email to arrange your visit with us. We look forward to hearing from you and sharing our farm and animals with you.